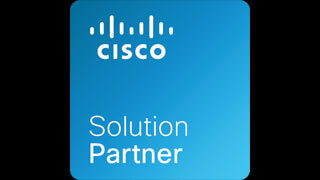 ALBUQUERQUE, NM – 09 JANUARY 2018 – K&A Wireless LLC (the “Company” or “K&A”) is pleased to announce its commercialization partner SensorComm Technologies, Inc. has been accepted into the Cisco Solution Partner Program to advance the Company’s IoT NOx monitoring system for vehicles (Wi-NOx™) in the Transportation and Smart City market segments. K&A is pleased to be working with SensorComm and global leaders like Cisco in furtherance of IoT and NOx monitoring technologies. Additional information will be made available in future news releases. ABOUT K&A: Since 1998, K&A has led the development of advanced technology solutions for law enforcement, firefighters, military, and with a grant (#NSFFunded) from the National Science Foundation’s (NSF) Small Business Innovative Research (SBIR) Program, is now developing next-generation IoT solutions. ABOUT NSF: America’s Seed Fund powered by NSF awards nearly $190 million annually to startups and small businesses, transforming scientific discovery into products and services with commercial and societal impact. Startups working across almost all areas of science and technology can receive up to $1.5 million in non-dilutive funds to support research and development (R&D), helping de-risk technology for commercial success. America’s Seed Fund is congressionally mandated through the Small Business Innovation Research (SBIR) program. The NSF is an independent federal agency with a budget of about $7.5 billion that supports fundamental research and education across all fields of science and engineering. For more information, visit http://seedfund.nsf.gov. FORWARD LOOKING STATEMENT: Information contained herein regarding optimism related to the Company’s business, technology, development activities and other such statements are “forward-looking statements”. While K&A believes such statements are reasonable, they are based on current expectations, estimates and projections about the Company’s business and are not guarantees of future performance and involve certain risks and uncertainties that are difficult to predict. Actual results could vary materially from the description contained herein due to many factors including changes in current or future regulations, access to financing, international and domestic economic conditions and other risk factors. The Company does not undertake any obligation to update any forward-looking statement to reflect events or circumstances after the date of this news release.